Last chance! Hurry and get your submissions in The APA 2nd Annual Short Video Contest. The contest closes Sunday June 2th 5:00 PM, so you have less than a week! The prize for the “Best Timelapse” category is partly sponsored by Roberts Camera is a Tamrac Jazz 83 Camera Bag with custom neoprene large lens pouch, Promaster optic lens cleaning tissue, 8GB SDHC card, Robert’s compact DSLR carrying case with vest/belt attachement. Roberts Camera opened its’ doors on August 21, 1957. While not always a photo specialty store; over the past 56 years we have grown into a premiere source in the Midwest for photo, video and electronics equipment. We have a group of professionals here that are extremely knowledgeable and passionate about the photography industry and the people in it. We value our customers (these days we can call most of them friends) and feel lucky to do business with them each and every day. Roberts not only focuses on the retail and on-line side of things, but we try and grow our customer’s knowledge base about the equipment they are buying as well as photography in general by offering many classes and seminars. We hope that your experience with Roberts is first class, and we hope we can continue to help you capture great moments for years to come. Visit us at either of our brick and mortar locations in Indiana, online at robertscamera.com, or call us for help at 1-800-726-5544. Interested in winning the Tamarac? Check out APA’s 2ND Annual Short Video Contest for 2013. The prizes for the Best Editing category in the APA 2nd Annual Short Video Contest is a 1 year subscription to the Adobe Creative Cloud. Adobe believes the creative process can be better. New, more connected tools. Fonts, files,ﾠ and projects always in sync. Your creative community just a click away. Your favorite tools are about to get even better. Introducing Creative Cloud™ desktop applications, including Adobe® Photoshop® CC and Illustrator® CC. They’re the next generation of CS tools. Get hundreds of all-new features. Keep your entire creative world in sync — files, feedback from team members, fonts, settings, and updates. And, as always, your applications live on your desktop, not in a browser and not in the cloud. With Creative Cloud, your entire creative world is synced and organized for you across multiple devices. Track comments posted to shared files, keep tabs on your work and your followers on Behance®, respond to invitations to join a project folder, manage your fonts, download the latest product updates, and more. Everything you need to create. All-new desktop versions of your favorite creative tools and services, check. Immediate access to new features and updates, check. And that’s just the beginning. With Creative Cloud™, everything you need to create intuitively and collaboratively is included. All-new tools and services will be available in June just as the APA 2nd Short Video Contest closes. Interested in winning a subscription? Check out APA’s 2ND Annual Short Video Contest for 2013. (link: http://www.tinyurl.com/apavideo). The prizes for the Best Overall and Most Innovative categories in the APA 2nd Annual Short Video Contest are the O-Fly Lightweight Shoulder Rig and iLED 144 Dual color light respectively. ikan designs and manufactures digital video and DSLR gear used by independent filmmakers, videographers, and professional photographers. Our mission is to build products creative people want and need at a reasonable price. ikan’s commitment to delivering quality gear with exceptional customer service sets us apart from competitors who offer similar products. These traits have helped us become the leading manufacturer of affordable production gear for use in the field or in-studio. The Flyweight Offset DSLR Shoulder Rig, O-Fly, features lightweight and easy to break down comfortable padded shoulder, ribbed non-slip rubber handles, offset system with vertical adjustment, and designed for DSLRs and small to mid-size camcorders. The iLED 144 On Camera Dual Color LED Light features wide angle beam pattern, tungsten to daylight switching, intensity dimming, on-board battery indicator, and stackable mounting option. 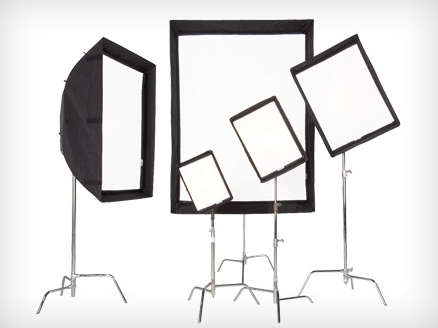 Interested in winning a shoulder rig and on camera light? Check out APA’s 2ND Annual contest for 2013 at www.tinyurl.com/apavideo. Master Course DVD Set – The most comprehensive Directing Course in the world. Over 9 hours of 3D animated instruction. Region Free. Plays on all DVD players in the US, 99% of all DVD players worldwide and all computers and notebooks worldwide. Includes access to the Hollywood Camera Work User Group, where you can discuss high-end filmmaking technique with like-minded and serious individuals and Personal support and coaching by Per Holmes through the Forum — get help with specific production problems, take part in exercises, and get the most out of the training by having direct access to its creator. The prize for the “Best Dramatic Short” sponsored by indiSystem is the Vortex DSLR Dolly. Their slogan isn’t a fancy one made by a focus group, or a bunch of ad men, it is the philosphy behind indiSYSTEM. indiSYSTEM is capable of being your number one source for follow focus, matte box, DSLR rigs, camera slider, and other custom camera accessories meant to make your photography life easier and more efficient. The Vortex dolly is a completely new way of moving the camera for spectacular new shots. 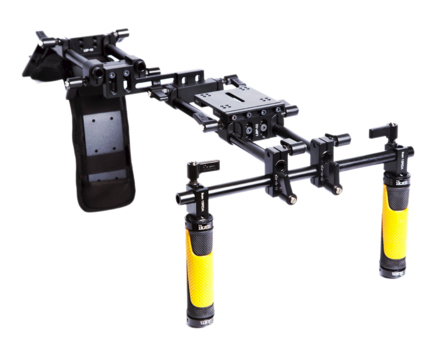 Its’ two arms allow movements that up until now have not been possible with any other dolly. You can move in/out, around corners, in circles just about anyway you can imagine. Think combination steadicam, slider, and skater dolly, all quickly set up on a set of tripod legs or the available indiBASE! It’s hard to describe but a dream to use. 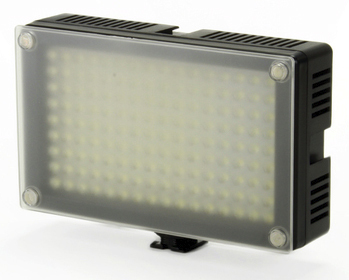 The prize for the “Best Lighting” sponsored by Chimera – Choice of Medium or Small Video Pro Lightbank or 1X1 LED Lightbank in the APA 2nd Annual Short Video Contest. Every photographer, videographer, cinematographer and lighting specialist knows it takes more than vision to create a masterpiece. It takes the right equipment. And for more than 30 years, Chimera has developed and invented innovative products that have changed the way the industry creates perfect light. Chimera continues to innovate and invent solutions for photography and film—from the creation of the famed Illuminata, to the development of Speed Rings and Pancake Lanterns, to the 2009 introduction of the F2X for large area lighting. You can count on us to give you the solutions for tomorrow’s projects! Our lighting essentials and accessories are lightweight, portable, durable and heat resistant—making it easy for you to turn your vision into a masterpiece. Video Pro lightbanks are all perfect when you need controlled soft lighting on small sets. 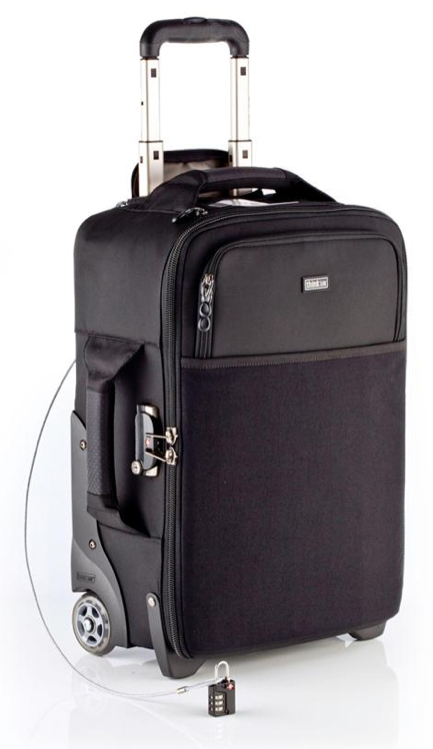 They’re also ideal for use as a separation light or small fill. These standard-depth banks are extremely lightweight and are primarily used with single broad-beamed, open-faced instruments. They’re ideal for all Chimera Circular Speed Rings measuring 3 to 9 inches (78 to 230 mm,) Adjustable Speed Rings from 5 to 9 inches (125 to 230 mm) and Dedicated Speed Rings. Available in sizes from XXS to Large. Video PRO Plus comes standard with three screens (full, half and quarter grid) so you can quickly and easily modify light output. Screen constructed of unique, custom material that’s anti-aging and anti-static. 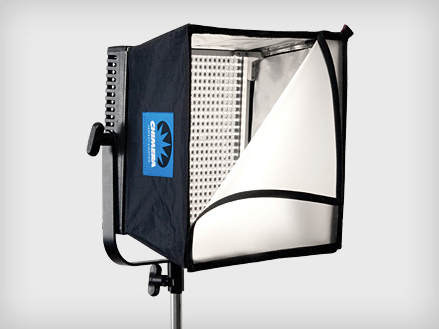 You can also use Fresnels up to 1,000 watts, especially if you use diffusion in the gel holder to spread the beam. Lightbanks available for Barger 4 and Barger 6 Stip Lights. There are also the Chimera TECH Lightbanks for LED, Plasma and Remote Phosphor lights—the perfect way to get the most out of the new lighting technologies , and still create beautiful, diffused talent-friendly light. Info on the Video Pro Lightbanks and 1×1 LED Lightbank can be found at www.chimeralighting.com. Interested in winning a lightbank? Check out APA’s 2ND Annual Short Contest for 2013 at www.tinyurl.com/apavideo. 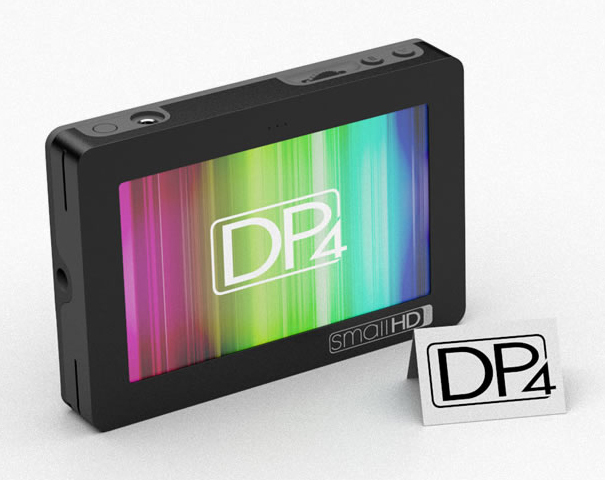 The SmallHD DP4-EVF was designed from the ground up for the DLSR shooter. In dynamic shooting environments pulling critical focus and maintaining correct exposure can be a challenge. The DP4-EVF’s extensive software features are designed to continuously give you the information you need, so you can concentrate on composition. The DP4-EVF is two tools in one, 1) a world class standalone field monitor and 2) an electronic view finder. There is no other product on the market that provides both of these features in one lightweight integrated package. Focus Assist Plus provides best in class focus assist technology. 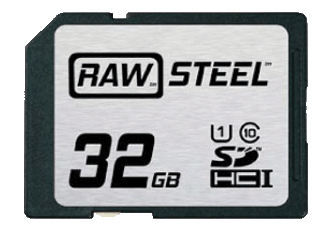 SmallHD was founded in by budget conscience filmmakers to deliver innovation and unprecedented customer support for the DLSR shooter. The following is a short list of those innovations. Interested in winning a production monitor? Check out APA’s 2ND Annual Short Video Contest for 2013 at www.tinyurl.com/apavideo. The prize for the Best Documentary category in the APA 2nd Annual Short Video Contest is a 1- year subscription to First Cut Pro’s “Power User” Account. Valued at over $1400/year, the power user account gives you full access to First Cut’s professional video collaboration tool that saves you time and money during post-production and editing. You’ll have nearly unlimited resources to share, collaborate and organize your post-production efforts with over 56 video viewing rooms, 7 concurrent projects, and up to 20 collaborators on each viewing room per month. In addition, you will have full access to our excellent service/support and continual product updates. First Cut Pro is a professional video collaboration software built to streamline the video post-production and editing process. This software focuses on three vital aspects of the feedback and approval process: collection of feedback, organization of video notes and integration into the current post-production environment. They have integrated feature-set is host agnostic which utilizes the security and availability of major video hosting services. Leveraging that technology, they deliver content to video stakeholders in a web-based viewing environment enriched with tools to provide frame-specific feedback on the various cuts made during post-production. Supporting a streamlined feedback collection, they have built and continue to improve upon, a project management interface. The interface is intended to clearly deliver video notes to project managers and editors for review. During the note-review process, users are able to identify important edits to be made based on the content of the notes generated by the viewing room and it’s viewers. 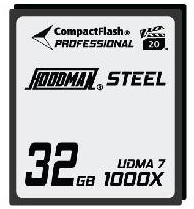 They have built the ability to export specified video notes into a number of formats. First Cut Pro currently supports the ability to export markers to .CSV files for a spreadsheet, .XML metadata files for Adobe Premier/After Effects and Apple’s Final Cut Pro (7 and 10), as well as a formatted .txt file for import into AVID Media Composer. Combined with the other features available in First Cut Pro, our marker export feature allows collaborators to easily provide actionable feedback directly to editors in the simplest way possible. First Cut Pro creates a user-friendly environment that promotes collaboration during video post-production. The ability to simultaneously contribute allows for increased communication among team members, optimized time usage of all stakeholders decreasing total post-production cycle time, and reduced confusion during the feedback process. Interested in winning a year of First Cut Pro? Check out APA’s 2ND Annual Short Video Contest for 2013 at www.tinyurl.com/apavideo.